This album seems to have been forgotten about. 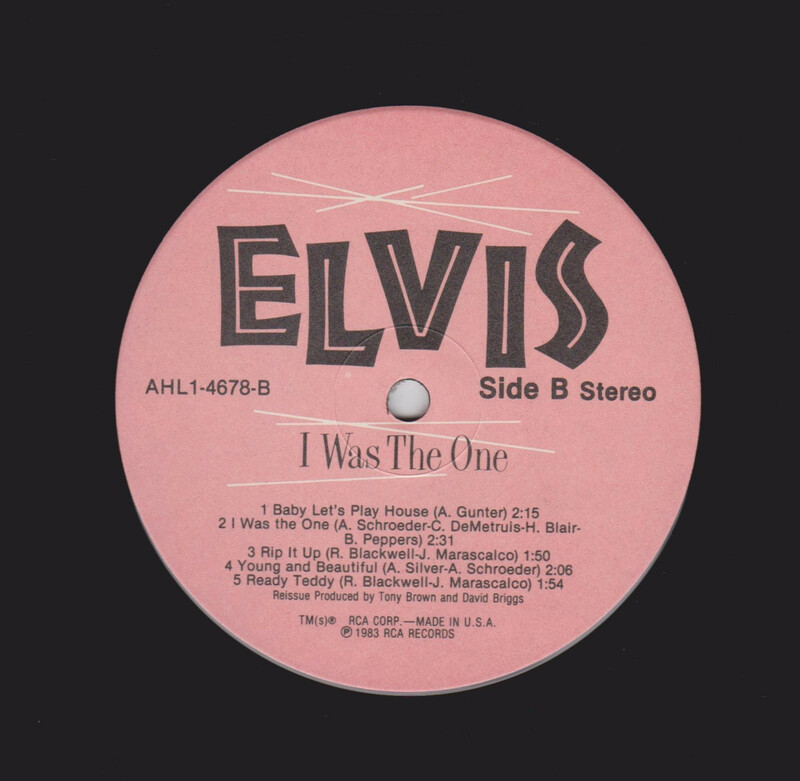 The album was titled "I Was The One" (RCA AHL1-4678) and contained 11 songs from 1956-1960. Tony Brown and David Briggs produced the overdubs at House Of David Studio, Nashville, Tennessee, in June 1982, and the album was released in 1983. In a bid to "modernize" the sound, new rhythm sections were dubbed over the originals. I personally love this album. 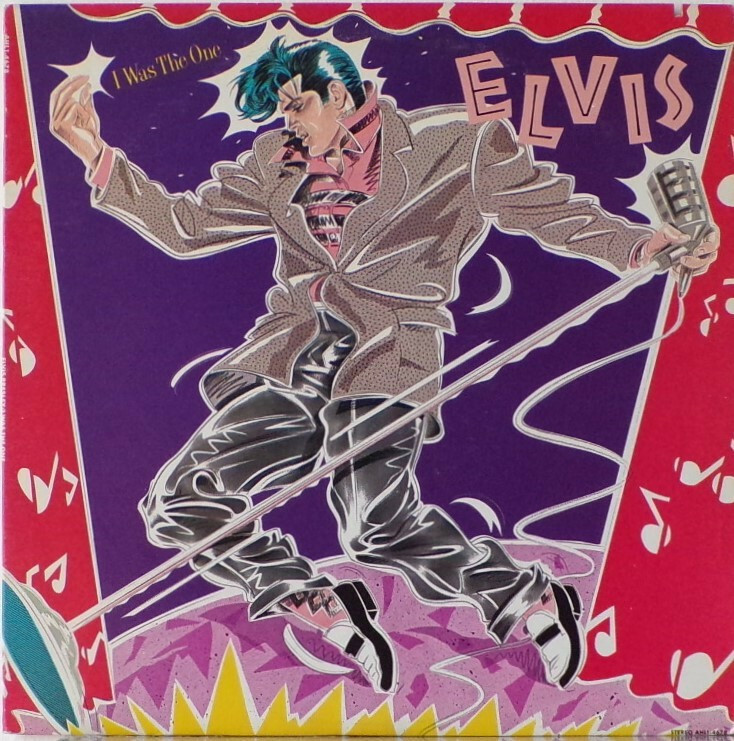 Front Cover : Cartoon photo of Elvis. Title top left. Catalogue number top left side & bottom right. 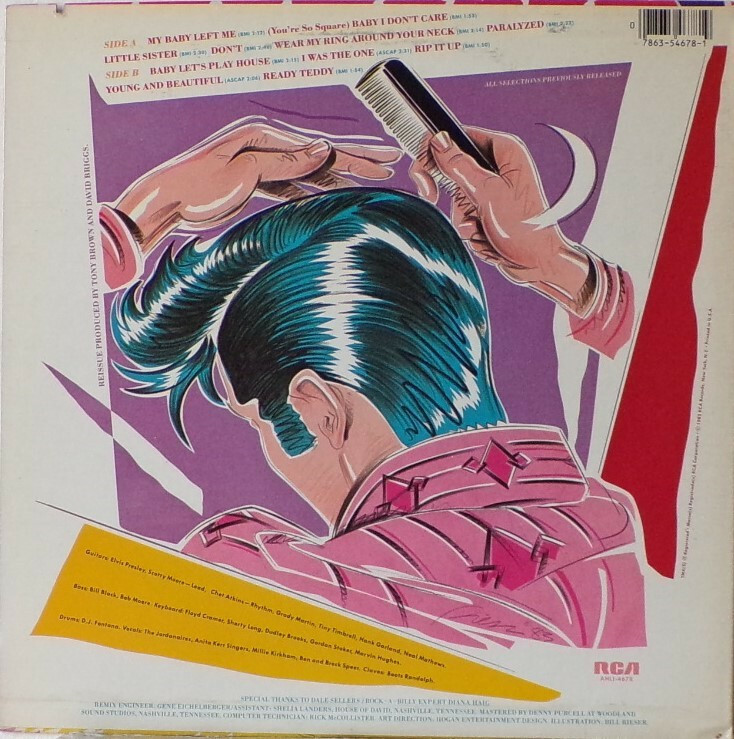 Rear Cover : Mock up photo of Elvis. Song titles across top. Catalogue number bottom right. Printed in U.S.A. side right. Label : Pinkish colour. Flexible vinyl. Side A : Elvis top. 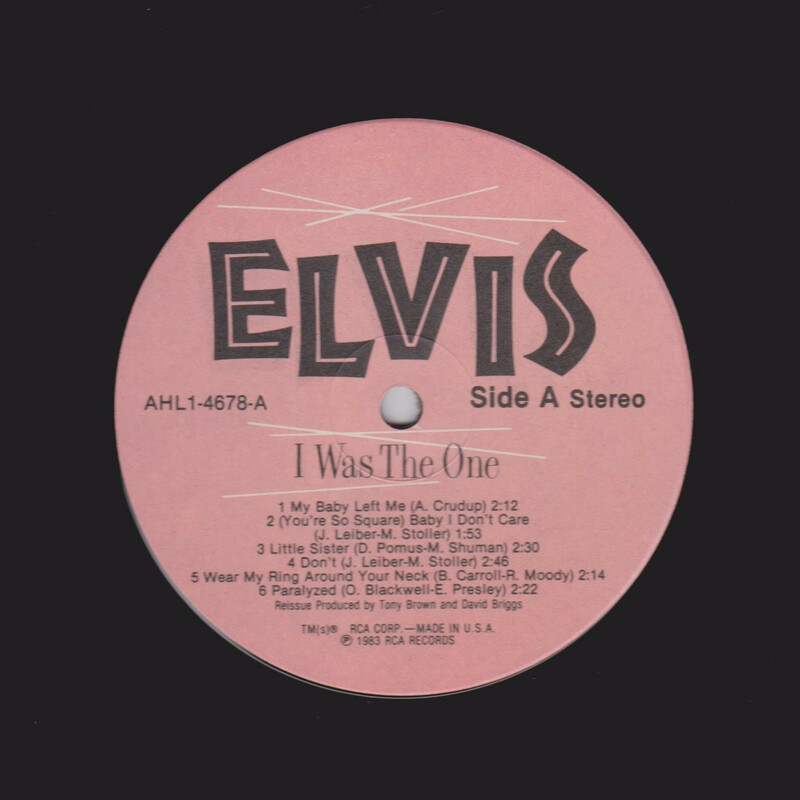 Side B : Elvis top.